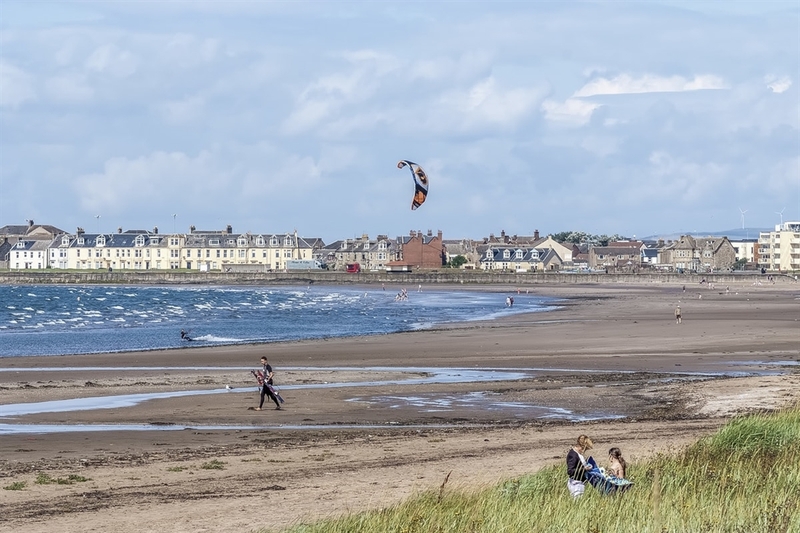 Curved into a bay, Troon Beach is a long sweeping stretch of sand with a popular esplanade. Boasting spectacular views across to the Isle of Arran, Troon Beach is a popular spot for holidaymakers. The beach itself is easy to access and the lively esplanade offers ice creams and fish and chips. Troon Yacht Haven is in close proximity which has excellent facilities for visiting yachtsmen. There’s a well-equipped play park for children, beautiful Italian gardens and lots of good local shops and some excellent restaurants. The beach is well maintained, dogs are banned from May to September and the shore is used by windsurfers and kite enthusiasts alike. Getting there by railway:- On exiting Troon Railway Station, turn right and walk down Barassie Street. Turn first left into St Meddans Street. Continuing on St Meddans Street takes you to Troon Beach. Getting there by aeroplane:- At the mini-roundabout at the exit of Glasgow Prestwick International Airport take the 3rd exit onto the A79 northbound. After less than one mile, take the 1st exit of the roundabout. The A79 continues. Take the first left signposted Troon, B749. Continuing on this road leads you to Troon Beach. Getting there by ferry:- From Troon Ferry terminal, follow signs for the town centre. These signs will lead you to Portland Street in Troon. Go straight ahead at the traffic lights into West Portland Street which leads to Troon Beach. Ayrshire & Arran tourism, all rights reserved. The broad curved bay of Toon Beach, with the town across the water in the distance. A kitesurfer in a wet-suit heads towards the sea. Ayrshire & Arran tourism, all rights reserved. The broad curved bay of Toon Beach, with the town across the water in the distance. A kitesurfer in a wet-suit heads towards the sea. Ayrshire & Arran tourism, all rights reserved. 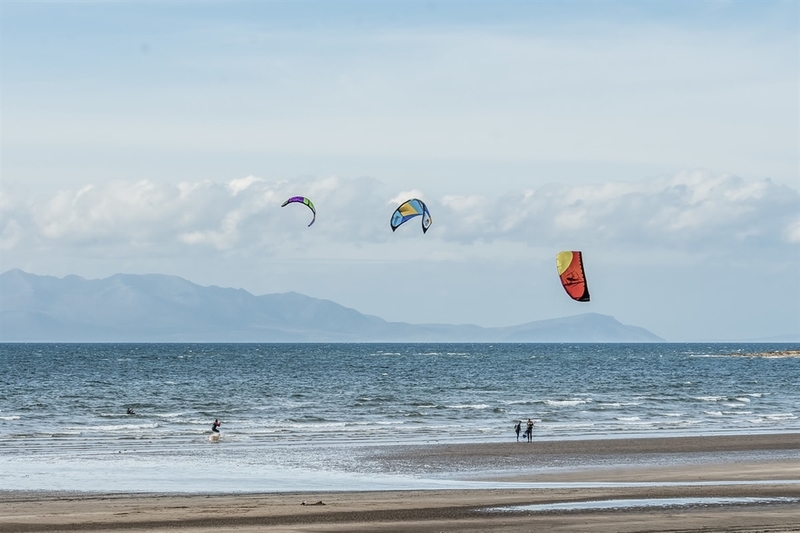 Three kitesurfers catch the wind in the bay at Troon, their sales high in the air over the waves. The Isle of Arran is hazy in the distance, mountains Picture Credit : Paul Tomkins / VisitScotland The wooden walkway through the long dune grass to the beige sand of Troon Beach. Troon is just visible on the horizon.